Tyler Ramsey, previous lead guitarist of Band Of Horses, will play a show with Carl Broemel, lead guitarist of My Morning Jacket, at SPACE, making for an intimate performance that fans of rock 'n roll guitar could usually only dream of. 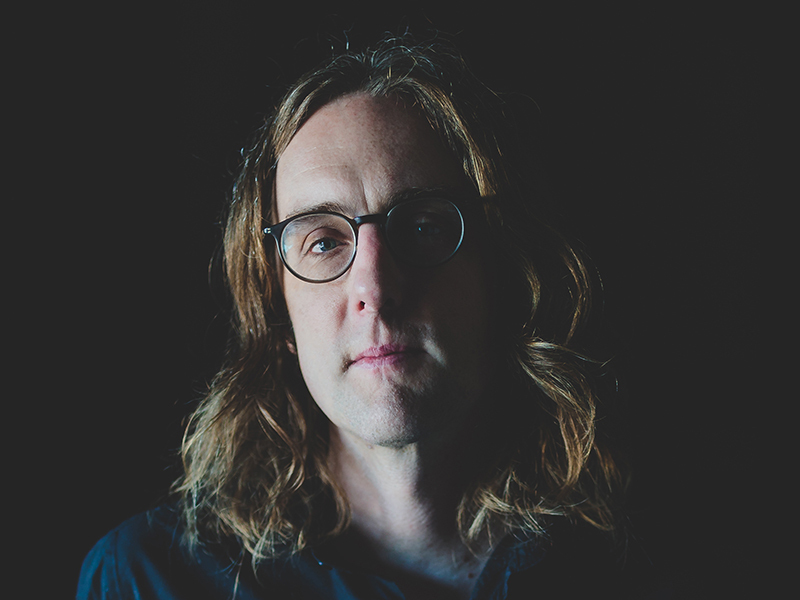 Years before Carl Broemel joined My Morning Jacket — the Grammy-nominated, globetrotting rock band featuring his guitar playing, saxophone solos, harmony singing, pedal steel riffs, and songwriting support — he wrote his very first songs in his Indiana bedroom. From the start, he was a multi-instrumentalist with a singer's gift for melody. A sideman capable of handling a frontman's job. As his guitar-playing career blossomed, Broemel continued writing songs of his own, carving out a personal, introspective sound that reached beyond My Morning Jacket's sonic landscape. With his third solo album, Wished Out, he merges articulate, pensive songwriting — including ruminations about science, love, the passing of time, and the grind of the artistic struggle — with some of the most energetic, rock-inspired songs to date. "I wanted to get things moving," says Broemel, who remembers playing shows in support of his 2016 solo release — the critically-acclaimed 4th of July, full of daydreaming guitar tones and soft dynamics — and hearing the quiet crash of glass whenever his fans tossed beer bottles into the clubs' trash cans. "My songwriting can be very mellow," he adds. "I love that mood, but I needed more balance this time around. I needed more energy! Wished Out is all about the yin and yang." Broemel recorded Wished Out at his newly-constructed home studio in Nashville, tracking many of the instruments alone before reaching out to several friends — including Robbie Crowell (Deer Tick), Russ Pollard (Everest, Sebadoh), and My Morning Jacket bandmates Tom Blankenship and Bo Koster — for help. He worked in spurts, taking short breaks to drive his son to school and longer breaks to hit the road with My Morning Jacket. With sunlight filtering through the studio windows during his days at home, Broemel steadily whittled his new album into shape, pulling triple duty as Wished Out's producer, engineer, and frontman along the way. From the harmonized guitar riffs and deep-seated grooves of the kickoff track, "Dark Matter," to the McCartney-worthy pop textures and densely-stacked vocals of "Out of Reach," Wished Out finds Broemel picking up the pace without sacrificing his love of melody. Hooks are everywhere, hidden in the dreamy, California folk-rock of "Malibu Shadow"; the percussive, psychedelic punch of "Starting from Scratch"; the stoned, stuttering rock & roll swagger of "Rain Check"; the show-stealing guitar solo that stretches itself throughout the second half of "Wished Out"; and beyond. A heavy reader, Broemel found inspiration in the scientific writings of Neil deGrasse Tyson, the work of evolutionary biologist Richard Dawkins, and the anthropological essays of Loren Eiseley. The result in an album whose melodies go down smooth, but whose lyrics unveil new layers with each listen. It's a thinking man's rock & roll record…or is it the other way around Songs like "Dark Matter" and "Out of Reach" take a turn for the metaphysical, with Broemel examining his own place within the cosmos. Meanwhile, "Second Fiddle" tips its hat to Ronnie Lane, George Harrison, Art Garfunkel, and other sidemen who've have balanced solo careers with their dedication to a larger, busier band. [For Broemel — an in-demand instrumentalist who's toured with Ray Lamontagne, recorded with country icon Wanda Jackson, and become an integral part of My Morning Jacket's engine over the last 14 years — a song like "Second Fiddle" feels particularly poignant, offering a first-hand perspective of rock & roll life in the passenger seat.] Throughout the writing process, Broemel worked with drum loops and other programmed beats, looking to instill a strong sense of movement into his songs. He wrote at home. He wrote on tour. He wrote during an inspirational trip to Malibu, where he rented a quiet cabin above the Pacific Ocean and emerged several days later with "Malibu Shadow" and "Starting From Scratch." The result is a tracklist whose diversity reflects the many influences, instruments, and commitments of its own creator. With its mix of guitar muscle, rock & roll grit, left-field pop punch, and lyrical wit, Wished Out sheds new light on a team player who shines just as bright when he's calling his own shots. Website TYLER RAMSEY Praised by NPR, Stereogum, WNYC, and The Huffington Post, Tyler Ramsey is a multi-instrumentalist equally at home playing guitar, piano, keyboards, bass, and percussion, but is best known as a talented fingerstyle guitarist and singer-songwriter. 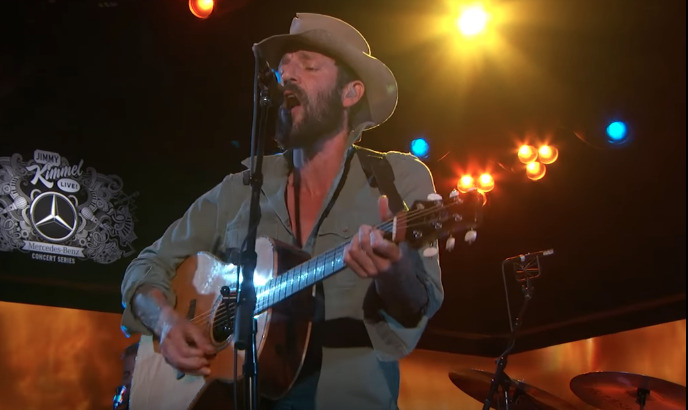 In addition to having released three acclaimed solo albums, Ramsey is perhaps most immediately recognizable, until his recent departure, as the guitarist and a co-writer in Band Of Horses, having played with them since 2007, prior to the release of their breakthrough album, "Cease To Begin." A well-established and acclaimed guitar player and singer in the burgeoning western North Carolina music scene, where he calls home, he first learned to play music on piano before moving to the guitar. Ramsey grew up listening to and studying country-blues guitar players like Mance Lipscomb and Mississippi John Hurt, and American finger pickers like John Fahey and Leo Kottke, absorbing their sound and making it all his own. His fourth solo album, which was recorded in Louisville, Kentucky, during tour downtime and completed this past summer, is set for release in 2018. The new songs are lush and full, and realized with help from a list of friends old and new, adding gorgeous vocal harmonies, strings, and guitar counterpoints. Watch Ramsey perform "1,000 Blackbirds."